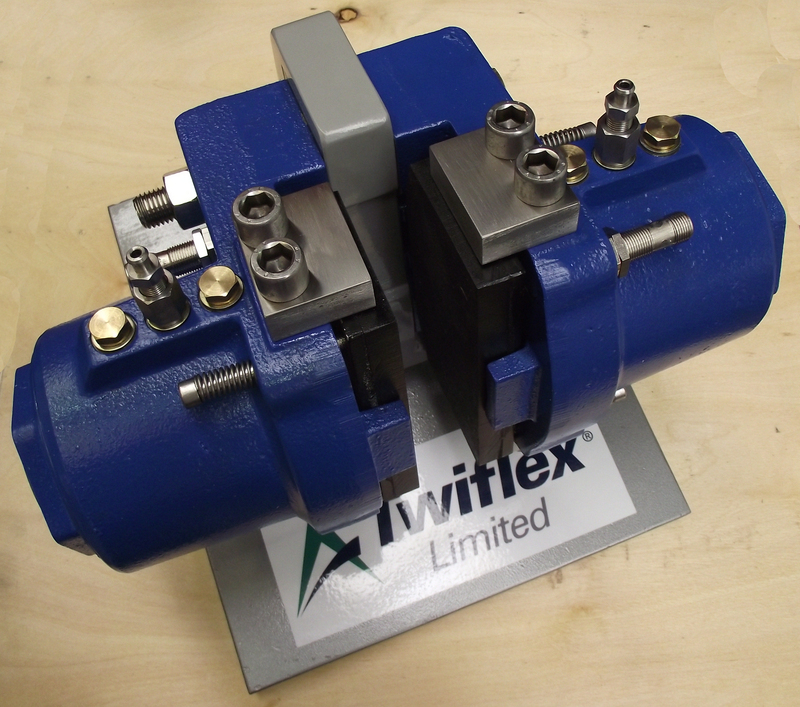 Twiflex Ltd has introduced a new disc brake for mining and conveyor applications. The VBS modular brake features large pads and IP65 protection, making it ideal for high speed conveyor drives in mining and quarrying applications. The brake also benefits from Twiflex's 'Parked Off' safety feature; the only system of its kind to allow completely safe maintenance and pad removal. Twiflex has launched a new modular disc brake to complement its existing range of conveyor brakes. The VBS is a 'fail safe', spring applied - hydraulically retracted disc brake calliper, which consists of two modules mounted either side of a central mounting plate. Intended for use on high speed drives on downhill conveyors the brake uses large pads (10283mm2) for high thermal capacity and is fully sealed against moisture and dirt ingress. For many years much has been made of safety features in industrial disc brakes, with manufacturers claiming to provide 'safety lock out' during adjustment and pad replacement. With the exception of the Twiflex 'Parked Off' feature, all of these designs use a mechanical lockout system which utilises a nut and centre bolt arrangement. This method relies on the integrity of the nut and bolt to hold the spring force; if this fails then the brake will close, potentially causing extremely serious injury. In 'Parked Off' the disc spring load and hydraulic pressure in the Twiflex design are zero, meaning the VBS has no stored energy and therefore completely safe for maintenance/pad removal. The position can quickly be achieved in the field with basic tools making the brake 100 per cent safe without reliance on mechanical lock out. This feature also allows the brake to be installed without the need for hydraulic pressure.